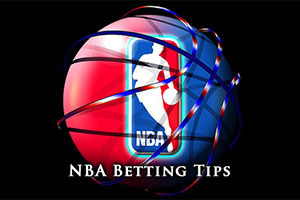 The weekend is with us once again and there is more than enough NBA action to enjoy on Friday. There weren’t too many games on Thursday night but if you felt you missed out on basketball betting action last night; don’t worry as there is more than enough action taking place on Friday, Saturday and Sunday to enjoy. The Cavaliers picked up a win on the road, defeating the Knicks in New York by a score of 87-90. The other two games of Thursday night were home wins, the Warriors trouncing the Pelicans by a score of 112-85 and the Trail Blazers defeating the Pacers by a score of 88-82. The Thunder have a 5-13, with a 1-8 record away from home while the 76ers managed to move up to a 1-17 record, with a 0-10 record at home, after finally winning a game. This means the 76ers are on a winning streak of 1 and the Thunder are on the opposite, having lost their last game. Michael Carter-Williams was the top man for the 76ers in their first win of the season, grabbing 20 points, 9 rebounds and 9 assists in the 77-85 win in Minnesota on Wednesday night. The Thunder may have lost 112-104 in New Orleans on Tuesday night, but they did welcome back Kevin Durant after he missed the opening 17 games of the campaign. Durant grabbed 27 points while Russell Westbrook offered up 21 points but Serge Ibaka could only pick up 6 points in the defeat. Both teams have a few injury worries to concern themselves with. Mitch McGary, Perry Jones and Kevin Durant are all big concerns for the Thunder while Philadelphia will be monitoring Alexey Shved and Nerlens Noel on a daily basis. While the 76ers will be buzzing after finally winning a game, you can’t imagine that they will now go on a winning run. However, taking them with a +12.5 handicap is likely to be a good bet at odds of 1.90. Bet Now! The Hawks are currently on a 11-6 record, with a 3-4 away from home, while the Nets hold a 8-9 record and are 4-4 at home. Both teams are on a winning streak at the moment, the Hawks with 4 wins in a row and the Nets with 2 wins in a row. Jeff Teague and Kyle Korver have been in excellent form for the Hawks of late, and Teague grabbed 27 points while Korver picked up 18 points in the 102-112 win in Miami on Wednesday night. The Nets had a 95-93 OT win against the Spurs on Wednesday night with Mirza Teletovic starring in a strong performance. Mirza offered up 26 points and 15 rebounds, which was a career best for the player. This stopped an 8 game winning streak by the Spurs. Neither team has any significant injury concerns going into this match and it is likely to be a very close run affair. You will find that taking the Hawks with a -1 handicap at odds of 1.90 is likely to be of great benefit to you if you want some Friday night betting action. Bet Now! The Heat holds a 9-9 record, with a 5-3 record away from home while the Bucks sit with a 10-10 record, 5-4 at home. This means that something has to give in this match against two teams with an equal record so far. Something also has to give with respect to streaks as both teams are on a losing streak. The Heat hold a 2 game losing streak while the Bucks are on a 3 game losing streak, so one of the teams will bust this streak on Friday night. The Bucks may have been struggling of late but Brandon Knight is in good form. He grabbed 25 points in their loss to Dallas and has picked up 52 points, 13 assists, 12 rebounds and 7 steals in his last two games. Dwyane Wade has been in excellent form since returning from a hamstring injury, averaging 25 points a game in his last three games. The Heat are looking at Norris Cole and Luol Deng on a day to day basis while the Bucks have concerns over the fitness of John Henson, Zaza Pachulia and Ersan Ilyasova. There isn’t likely to be much between these teams so taking the Heat with a -1.5 handicap and odds of 1.90 is likely to be a smart move. Bet Now!